This little number here I spun as a gift to my good friend Brooke. 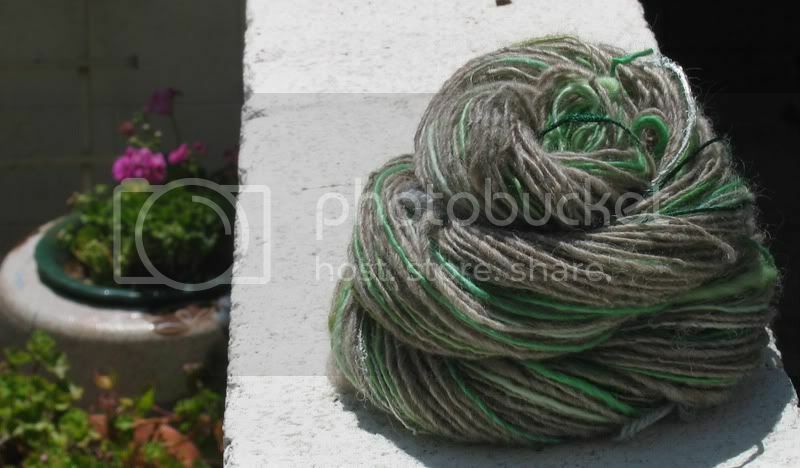 There is natural colored coopworth, hand-dyed green mill ends, mohair curls and recycled sari silk. This style of yarn is part of a series I keep re-visiting by taking neutral colors and pairing them with shocks of something bright. I've made one blue and one orange previously. 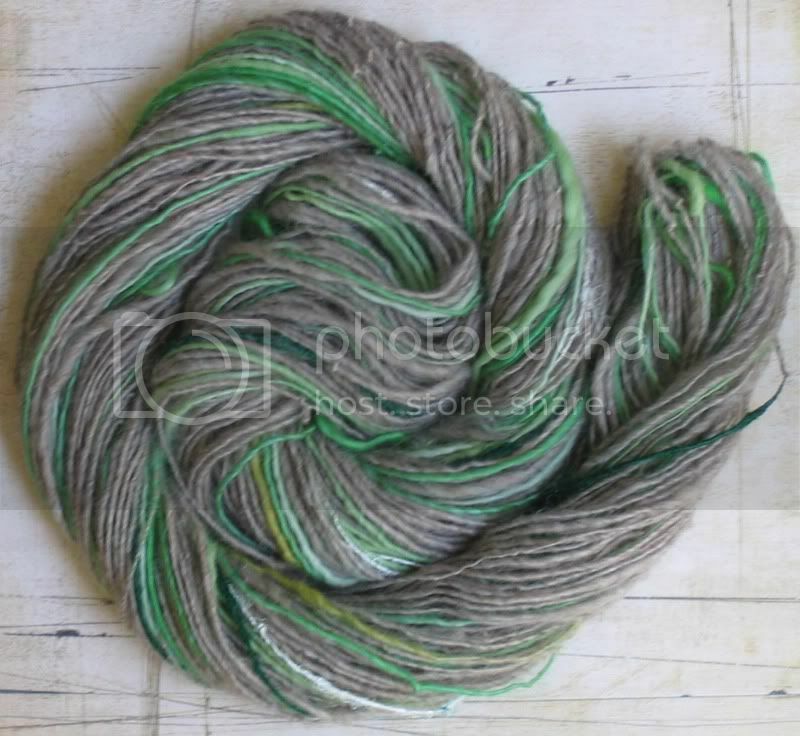 I had the luxury of hand delivering this yarn while on vacation last week during the great NW odyssey adventure I took. That reminds me, Black Sheep Gathering pictures... to come! Now that I'm writing about it, I admit I'm kinda sad to be back home in the heart of darkness. I miss the good living my friends have worked out in the great NW. The older I get, the more I appreciate the concept of quality of life. I better start carving out pieces for myself no matter where I am. Fiber Friday is a little taste I get each week. Yum!